The CEO of Nova Scotia's Office of Immigration says Atlantic Immigration Pilot Program, which was launched in March 2017, now has more than 1,000 people "endorsed" to come to Nova Scotia. Nova Scotia was able to welcome 5,645 immigrants to the province in 2018, a record number of "landings," according to the CEO of Nova Scotia's Office of Immigration. 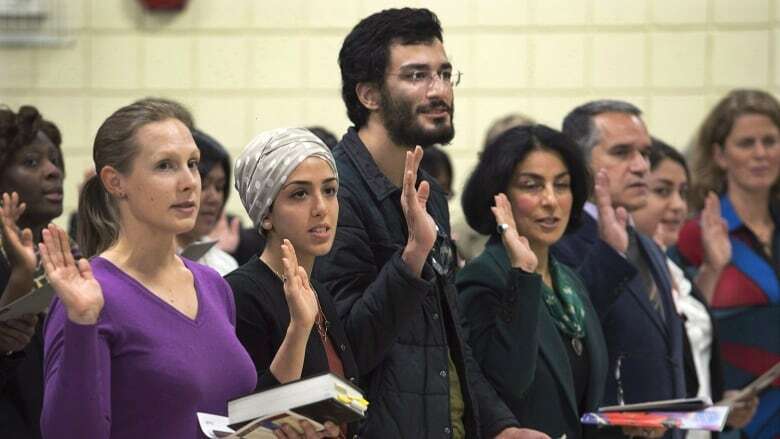 Speaking to a legislature committee Tuesday, Tracey Taweel said part of that success is due to the Atlantic Immigration Pilot Program, which was launched in March 2017 and now has more than 1,000 people "endorsed" to come to Nova Scotia. "We have so many examples of employers and foreign nationals finding great success with this program," she told the all-party human resources committee. Companies in Atlantic Canada willing to hire skilled immigrants can register with the Atlantic Immigration Pilot Program. Once approved, the workers' immigration process is fast-tracked. So far, 1,073 people have been "endorsed" or approved by both federal and provincial authorities to come to Nova Scotia. Of those, 246 are now permanent residents working in Nova Scotia, Taweel told reporters. "Our numbers are comparable to other jurisdictions," she said. "The pilot is doing well across the region." "Nova Scotia, we were a little slower getting started in the first year of the pilot, but at the same time our numbers through all of our other streams were increasing." In 2017, Nova Scotia had room for 792 people in the program but only approved 201 applications. In 2018, officials filled all 792 spots and an additional 80 originally allocated to Newfoundland and Labrador, but which that province didn't fill. There were a number of ways families or individuals immigrated to Nova Scotia in 2018. About 1,400 arrived through the provincial nominee program, but others came through a high-skilled economic stream or were sponsored by a family member already in Canada. Others, the smallest portion, settled as refugees. Taweel said once immigrant families arrive the key to keeping them in the province is making them feel welcome. "It is about having open and welcoming communities," she said. "I say to the [Immigration Office] team, all the time, from the minute someone contemplates thinking about Nova Scotia, we need wrap our arms around them and not let them go until we know that they are happy and settled here and that they plan to put down roots here."